In this tutorial you will learn how to retouch stray hairs, fly-away hairs, cross hairs, how to fill spots with hair and and how to make them look clean and shiny. 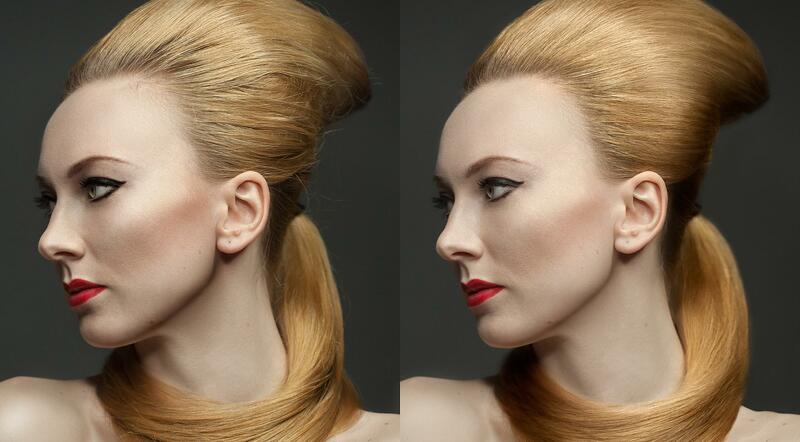 DomQuichotte will be using frequency separation, dodge & burn and the liquify filter for a perfect retouching. Before you start watching, make sure to also check our Skin Retouching Tutorial, where we explain the way frequency separation works intensively. Untertitel in English, German, Polish, Italian, Portuguese, French and Spanish. OMG that’s too funny! Puubs. How do you create the b&w strokes layer? You are so funny and very good tutor.